These modern or "contemporary" songs can be used as alternatives to hymns or in addition to hymns in Anzac Day ceremonies. This song from Dogmatic Music (facebook.com) is specially written for use in schools. Watch and listen to the YouTube video free. The same 3min17sec version is available for purchase and download from cdbaby.com. It is also sold as part of Dogmatic Music's Anzac Day Kit for schools. Official music video of a song that pays special tribute to Australia's Indigenous soldiers. "He's a drover drifting over Western plains..." Tribute to Anzac soldiers by country singer Lee Kernaghan. ● See also Slideshow videos. Me Darlin' Boy (based on letters between Simpson and his mother). Lyrics [pdf]. *The four songs marked with an asterisk may be used by schools and services organisations in Anzac Day, Remembrance Day and Vietnam Veterans ceremonies without having to pay a public performance licensing fee as long as permission is obtained first. 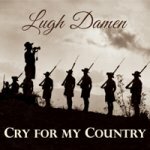 MORE SONGS: Lugh Damen's songs of special relevance to Remembrance Day are listed on our Remembrance Day modern song alternatives page. John Schumann's song Anzac Biscuits is inspired by the book Anzac Biscuits by Phil Cummings (published by Scholastic). There currently (2015) appears to be no full free version of the song available, but you can listen to this 30-second sample from the JB HiFi page (now.jbhifi.com.au). - There is also a recorded interview with John Schumann including a 50-second sample of the song (at the end of the interview) on this ABC page (abc.net.au). ● See also our Remembrance Day Modern song alternatives page, as some songs listed there are also suitable for use in Anzac Day ceremonies.